Using a vaporizer for your dry herb? Did you know the Already Been Vaped (ABV) herb still contains THC and CBD? Brilliant, right! So after you have used your vaporizer to medicate, you can use the herb a second time and extract every last morsel of goodness from the flower, ensuring no waste and more bang for your buck. 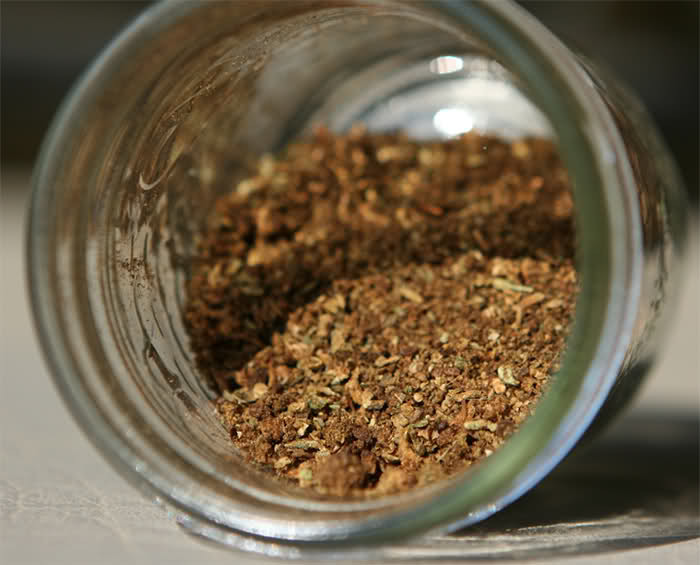 So make sure you save all the vape waste as there are so many good ABV recipes. One of the best ways to make use of it is to infuse it into butter or oil (coconut and olive oil are both good for this). Once infused you then have a very potent base for any number of recipes. Here we will give a step by step guide on how to extract all the goodness from your vape poo and create a tasty, versatile cannabutter. It will take some time to save up enough vape waste to make cannabutter, but don’t let this discourage you. Keep a glass jar and each time you empty your vape just put it straight in. Before you know it you will have enough vape poo to do some baking. When saving your waste you are looking for a nice light brown colour. This means that it hasn’t been combusted and burnt up any of the remaining THC or CBD. If your bud has started to blacken, you have gone too far and this should be disposed of. When making butter from your waste a good rule for getting the ratio of vape poo to butter is, 15g waste to 100g butter. You can also add any left over stalks and trim too. The most important thing you will need when making ABV butter is patience. You will find many versions which claim to infuse in an hour or two, but if you are looking to be efficient, then you will need around 36 hours in total to extract all of the remaining goodness. This includes time to set your butter after infusing. So, if you are planning to bake soon you will need to get started with your butter well ahead of time. You will also need a few basic tools, most of which are already found in pretty much every kitchen. I personally use a crock pot (slow cooker) as this is the best way to ensure that you do not burn your butter. Or even worse heat it too high and evaporate all the THC and CBD. This starts to happen around 180°C (350°F) but varies depending on your atmospheric pressure. Other methods can be used but you will need to regularly check the temperature. So if you don’t have a spare 24 hours to keep checking, use a Crock Pot. You will also need a wooden spoon, cheese cloths (jay cloths work too) and a tub in which to set the butter. 1 As the material has been vaped you do not need to Decarboxylate your bud first. The process of vaporizing has already activated the THC. So begin by putting your ABV in a pestle and mortar and giving it a grind so it is nice and fine. This aids the process of absorption as more surface area means more efficient infusion. 2 Put the butter, vape waste and water into the crock pot and turn onto the lowest temperature and cover. Leave for 24 hours so the fat in the butter can absorb the THC and CBD molecules. Be warned this is very smelly and your entire home will have a fragrance of cannabis during this process. 3 Every 6-8 hours give it a stir to make sure the waste isn’t clumping. Check the water too, if the level looks low add a little more. This will not only prevent the butter burning but also helps to separate some of the impurities later. 4 After 24 hours prepare a bowl or tub by attaching your cloth to the top, an elastic band or piece of string should do the trick. Then pour the contents of your crock pot onto the cloth and this will drain the butter and water into a tub. The cloth will filter the sludgy mess that used to be bud, sticks and trim. It is worth giving the cloth a gentle squeeze at the end to extract the remaining butter. 5 Put the tub into the fridge uncovered for around 8-10 hours. The water and butter will then separate leaving a solid, dark green, slab of butter on the top. Underneath will be foul black water. Whilst setting do not disturb the tub, this can cause the solidifying butter to break up and pockets of water will settle inside your butter. 6 When the ABV butter is set solid take a knife and go round the edge of the tub, remove the butter and pour away the filthy water. 7 Either store your ABV butter in an airtight tub in the freezer until ready to use or begin baking! You will notice that there is a little less butter than what you started with. I have found that around 90g of each 100g of starting material remains. Your butter will be dark green in colour if done correctly. I then use around 50g of butter for a batch of around 12-15 biscuits. These are suitable for those who consume daily but if you have not had an edible before start with a small amount. Wait and see how it goes, it takes around 2 hours to kick in and is stronger than smoking or vaporizing. Don’t eat too much first time as it will knock you down!